I’m very sorry there have been no posts on The Barge Blog since August. September, October and most of November are my busiest months in “real life” and I just don’t have the time to deal with it, although I do manage the occasional post to the Society’s Facebook page. Members of the Society should now have received the autumn edition of our excellent magazine Mainsheet – and if you aren’t a member and don’t have Mainsheet then you’re really missing something. 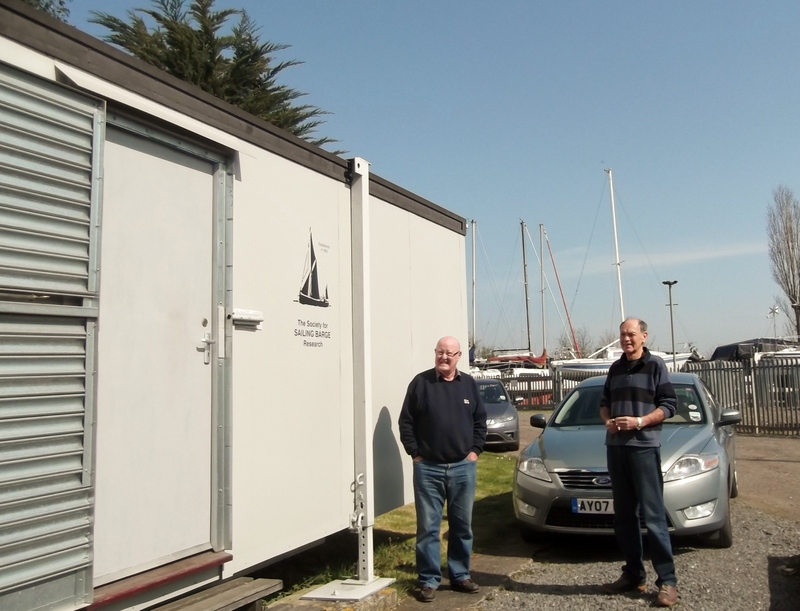 Mainsheet contained the news that Hugh Perks has stood down from the Committee of SSBR. We are all very sad that he has come to this decision, although we understand his reasons. Hugh is a founder member of the Society, has held office and has brought his vast knowledge of maritime subjects to our deliberations and indeed to our publications. Thankfully, Hugh has said that he intends to continue to bombard us with letters, notes, corrections, etc, to keep the Committee on its toes. And as good as his word, he has sent us this splendid photograph of sb Tollesbury. He says:- “Tollesbury is now based at Standard Quay, Faversham, as her former berth at Barking is no longer available. She is looking very smart and well painted up. Her mast and topmast need attention, but the sprit is newly painted. The foliage in pots on the decks and hatches surely qualifies her for the “Valdora Trophy”. Old timers may remember Valdora the ‘flowerpot’ barge at Great Yarmouth in the early 1950s. Want to know more about the beautiful Thames Sailing Barges, or do you know somebody who might? 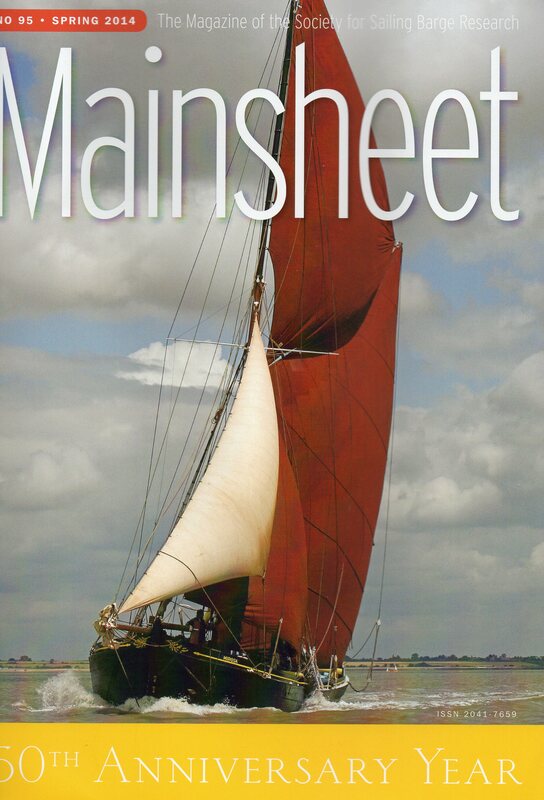 For just £20.00 a year you can subscribe to the Society for Sailing Barge Research and receive our two excellent publications, Topsail and Mainsheet. 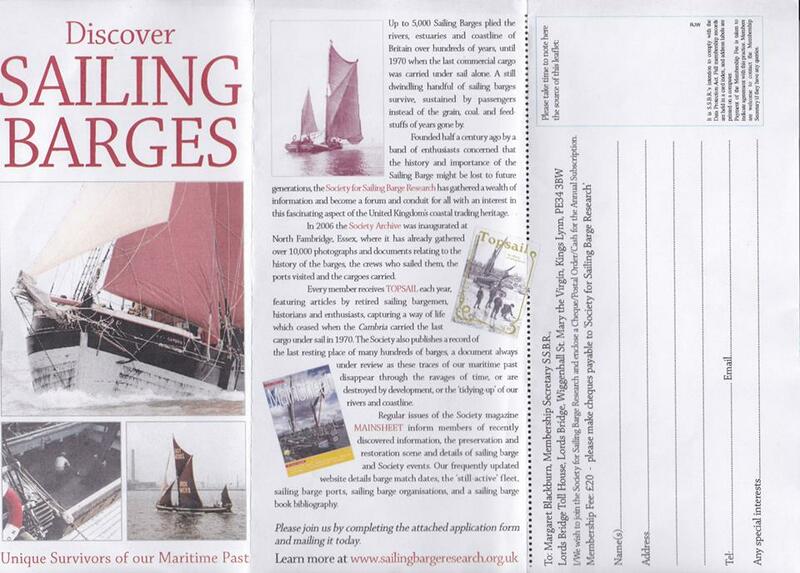 There are also some other publications by the Society for Sailing Barge Research which are sent out free to our members. So if you would like to know more or are looking for an interesting Christmas/Birthday present why not sign up. The committee members of SSBR usually get advance warning that the latest edition of Mainsheet is on its way. So when that light thud came as the post hit the doormat this morning I guessed it had arrived. Charles Traill always plays his cards close to his chest and will never tell us, beyond perhaps a small hint about one item, what the contents will be. It has to be a surprise. So there is always much interest in what we will find when we open the publication. As agreed at a committee meeting in January, Charles had included a resumé of our deliberations about the future, and with it was a photograph of the committee. “Gosh”, I thought, “my hair does look nice, all those lovely long curls”. I hate having my photograph taken, but this was good, this was acceptable. For dear Charles had stood behind me to take his picture of the committee and it was a photo of the back of my head! What is more important though, and much more worth saying, is that the current Mainsheet lives up to its reputation as a first class magazine. Those of you who follow The Barge Blog and its Facebook page see interesting and often chatty news about barges, barge people and the barge world, together with great photos, old and new. But you could get so much more if you joined the Society for Sailing Barge Research. For an amazing annual subscription of £20 you not only help preserve documents, photographs and artifacts on Thames sailing barges and promote research into the vessels, you also receive two copies of Mainsheet each year and an annual Topsail, our acclaimed in depth study of the history of sailing barges. And you also receive discounts on other publications commissioned by the Society. Here’s a link to the SSBR Membership Form . Do join us now.